Lara spent the past decade mastering the fundamentals of digital experiences. Today she is eagerly sought-out by startups & SMEs across Lebanon and the MENA region to help guide them through their digital strategies. Her services include but not limited to: enhancing their digital presence, optimizing their customers’ experience and orchestrating workshops where their teams learn how to best incorporate UX methodologies and techniques into their internal processes. Throughout her career, Lara worked with various development teams and agencies as a Lead User Experience Consultant. Her projects varied from propelling startups to organizing and restructuring the digital presence & strategies of mid and larger organizations in the region. Her expertise includes User Experience Design/Analysis, Digital Expert Reviews, Digital Strategies, Marketing Automation, CRM implementations and Content and Web Strategies. Lara is currently teaching part-time at the Beirut Arab University. 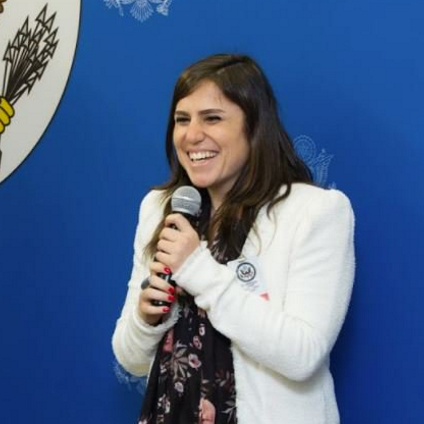 Lara was selected in 2017 as an Emerging Leader from Lebanon and participated in Techwomen, a 5-week mentorship program conducted by the U.S Department of State’s Bureau of Educational and Cultural Affairs. Lara holds a Bachelor degree in Computer Science from the American University of Beirut and a Certification in UX Management from Nielsen Norman Group.